Why take a trekking trip to the Everest region instead of other less-frequented trekking routes in other Himalayan regions? Trekkers, eager as ever to explore the unexplored, are likely to ask this question — to themselves and their handlers. 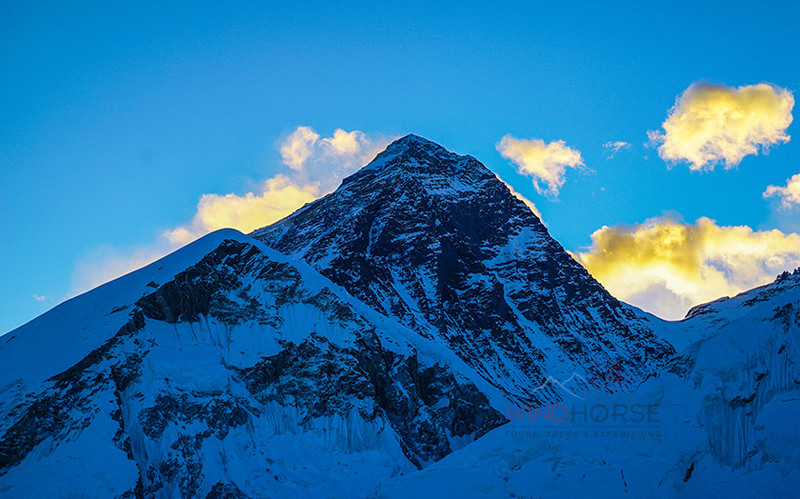 The reasons to trek the Everest reason, I assure you, are one too many. 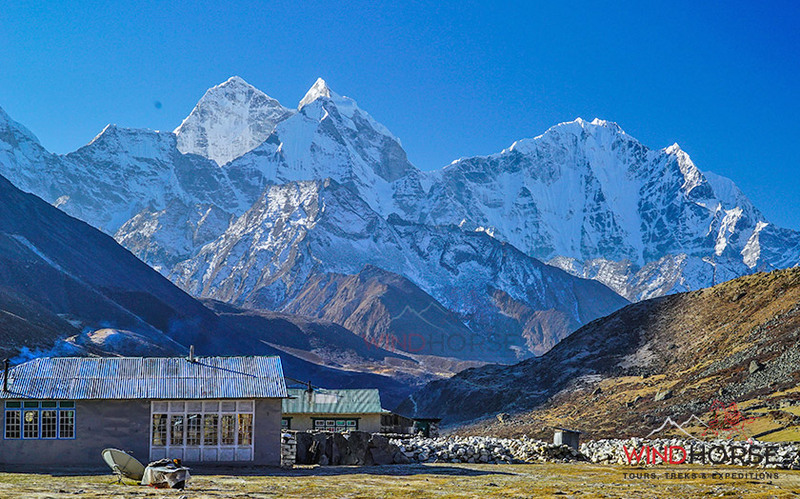 The Everest is the tallest mountain in the world, but that’s not the only wonder that awaits you in the Everest region. 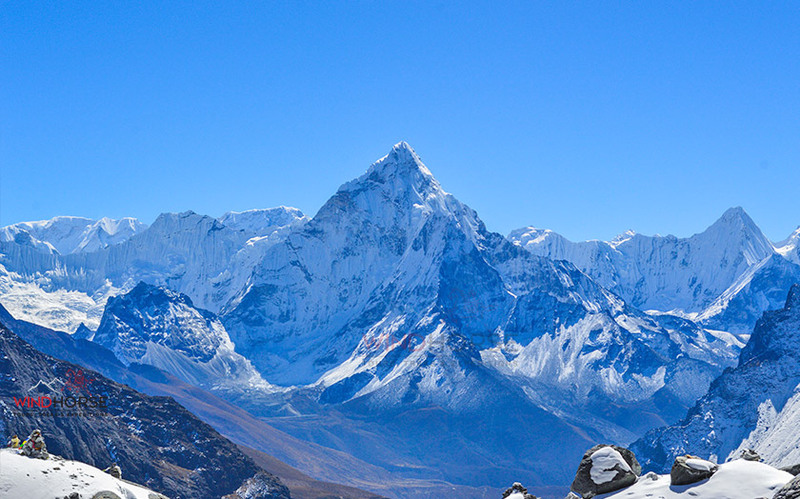 The Everest Base Camp Trek takes trekkers to the wonderful Gokyo Valley. That’s where the grand Dudh Koshi River originates. The Ngojumba Glacier, famous Cho La pass, eye-catching views of Gokyo Ri and Kala Patthar and the Everest Base Camp offer you the joy of a lifetime. Everest Region is one of the best trekking destination in Nepal. Savour the beauty of majestically-soaring mountains, colourful monasteries and prayer flags, the Namche Bazaar, Sagarmatha National Park, hidden valleys of Gokyo and lakes, 360-degree panoramic views of four eight-thousanders and other mountain ranges from the best viewpoint of the Everest Region and the Gokyo Ri; in company of friendly Sherpas. 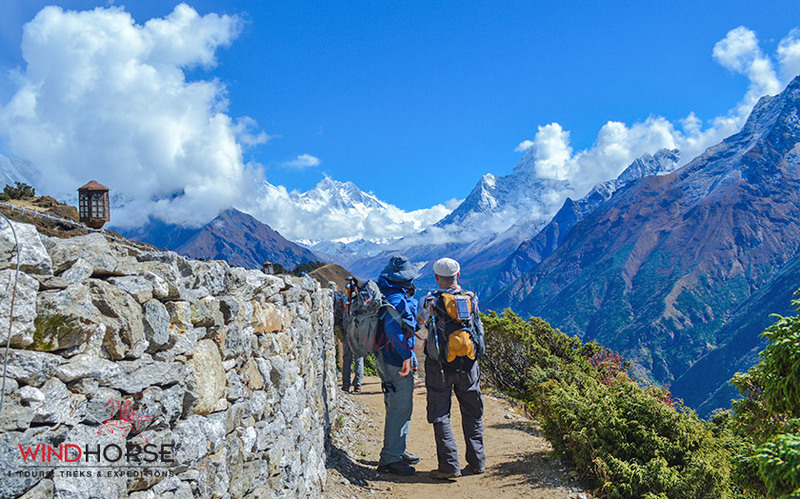 This vantage point offers trekkers far more panoramic views than the Kala Patthar viewpoint. 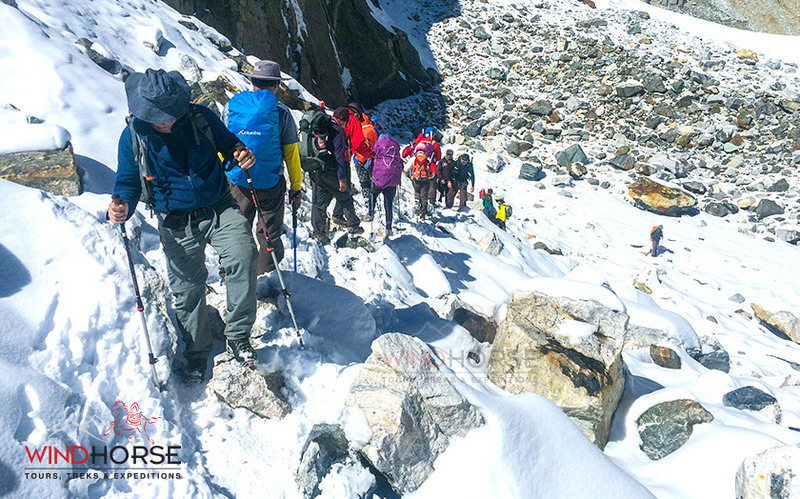 The journey to the EBC via Gokyo is a difficult and challenging trek, indeed. It is ideal for physically fit and experienced trekkers, who love the challenge. Passionate and experienced trekkers, who can walk at least 6-7 hours a day with a light rucksack and have enthusiasm to face the challenge, can opt for this trek. After the earthquakes, we completed one trip to the Everest region with my office giving me the responsibility of a team leader. Post-trip, I feel the Everest made me unique and outstanding because of several features, topographies and landscapes. In the morning, we reached the Kathmandu domestic airport. Weather conditions disappointed us, but not that long. 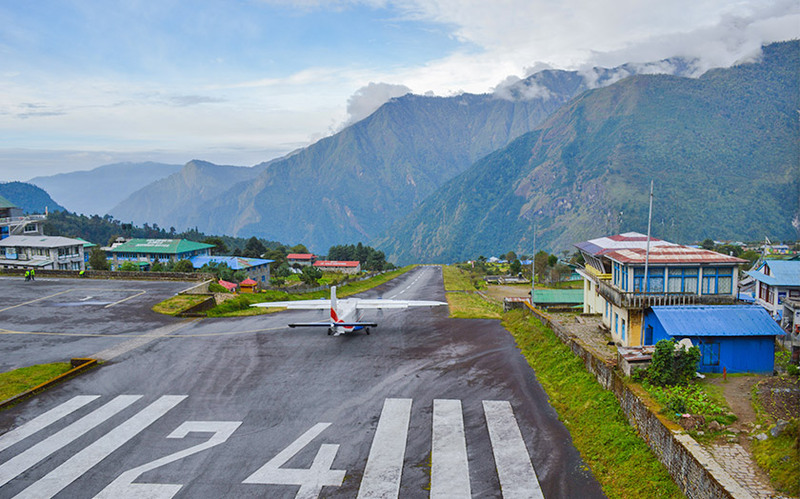 Airborne, we managed to land at the Lukla airport, one of the most dangerous airports in the world, at 2:30pm. As we were pretty late, there was no question of embarking on the trek that day, so we put up for the night at the Mountain Lodge. 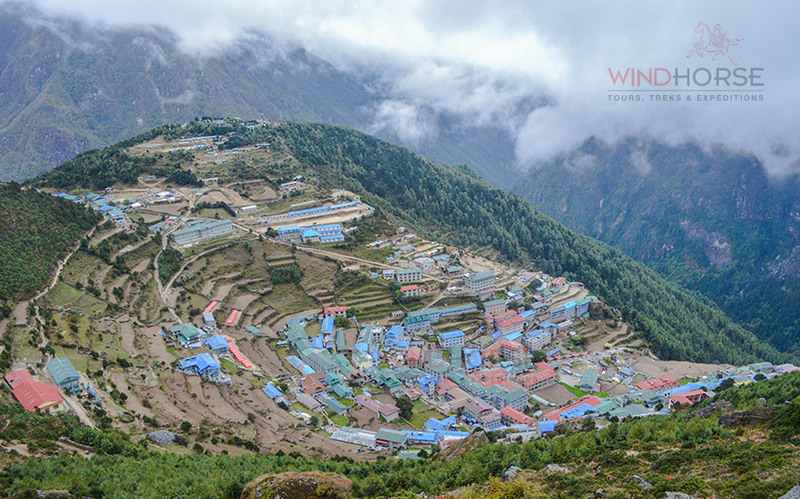 Namche Bazaar is a major trade point for the Sherpa people. Here, visitors can purchase traditional art and crafts. At the bazaar and surrounding villages, we had a great time. On the acclimatisation day, there was no question of confining ourselves to the lodge, doing nothing. So off we went all the way up to Shyangboche and Khumjung villages and descended to Namche for an overnight stay. On the way to Shyangboche, we visited the Sherpa Culture Museum and Everest Photo Gallery in the morning. Then we hiked to the Everest View Hotel through the Syangboche Airport. Situated at an altitude of 3700m ASL, it is said to be the airport located at the highest altitude. 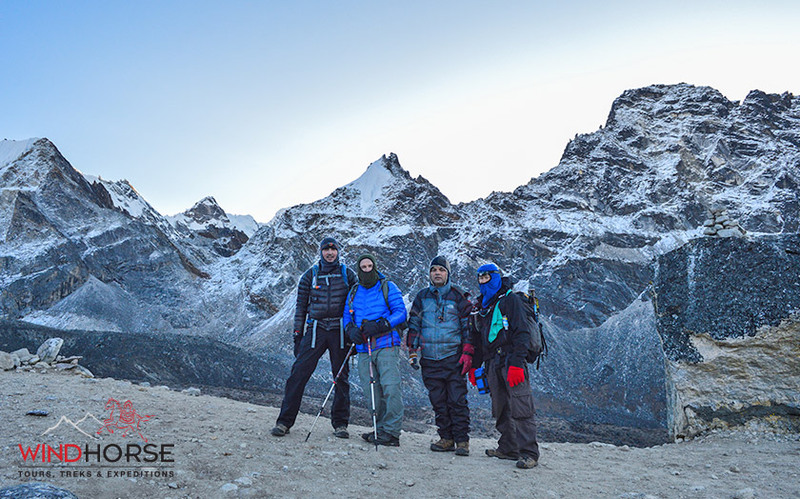 We climbed further to reach the EVH for a majestic view of the Everest, Lhotse, Ama Dablam and Tawache and several other peaks. In the afternoon of the acclimatisation day, we visited the Khumjung village where we interacted with Sherpa and other local people in a bid to know a bit more about their culture, lifestyle and tradition. It was an interesting experience that will remain etched forever in our memory. Of the people we talked to, one was a woman whose husband works as a high-altitude porter. We asked her: What do you expect from the government? And she said: “I always fear for my husband’s life as he has to work in the Everest region. We don’t have land, she said, asking the government to provide land so as to enable her to cultivate crops. This conversation touched our heart. We then met members of a middle-class family, which had two daughters. We asked the mother: What do you want your daughters to be in the future? The mum cried a lot and then said the recent earthquake had destroyed her house. I don’t have money to look after my children, she said. The woman’s husband was also a porter. Post-quake, tourists seem to have vanished. The tourism industry has suffered a major jolt. During the conversation, the woman said neither the government nor any other party has offered any assistance to her and her family. On the sixth and seventh days, we visited the Gokyo Valley. A sparkling stream connects first and second Gokyo lakes. 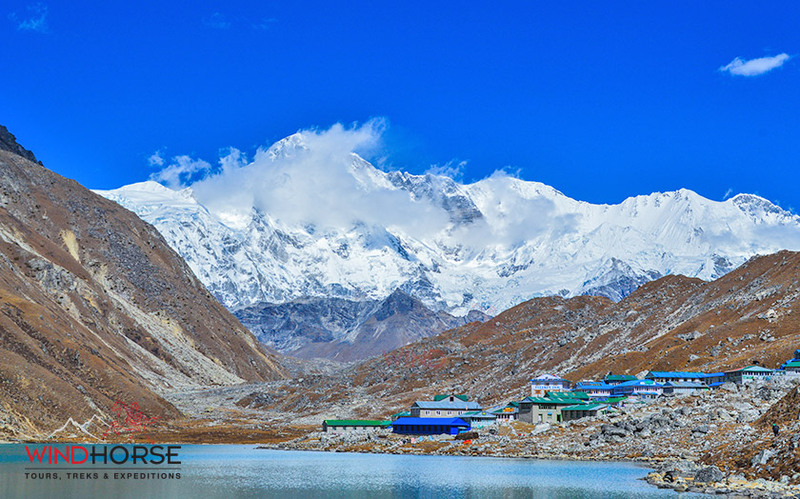 The Gokyo village sits on the edge of the third Gokyo lake with the Cho-Oyu Mountain in the background, offering a rare splendour. After lunch, as the day was sunny and clear, we decided to climb up to the Gokyo Ri for a clear view of the mountains. By the time we reached there, weather had worsened, enveloping the attractions with clouds! But we still had a good view of the Everest from atop Gokyo Ri. Climbing Gokyo Ri is strenuous, given a steep path to the top. It took us about three hours to reach the top. From the trail, we had splendid views of Gokyo on the edge of the third lake and the Nogzumpa Glacier. Felt as if mountains were all around us. Beholding the beautiful scenes, we descended to the Gokyo valley, completing all of the day’s activities in about eight hours. Cho La Pass is another highlights of this trip. The journey to the Cho La pass was the toughest and we had to embark on it at 4am. Though not that difficult, the pass is steep and involves a glacier traverse on the eastern side. We had to be careful as the trail is vertical and the rocks glazed by ice add trouble to trekkers by making the path slippery. However, the journey from Phedi involves climbing through a ravine and a rocky trail. Trekking through the side of a frozen lake, we reached atop the pass decorated with prayer flags. 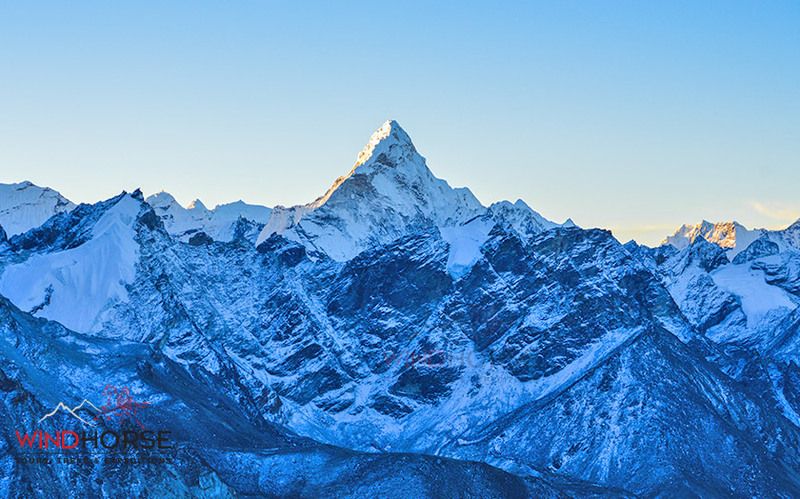 The pyramidal Ama Dablam presides over a range of mountains on the south, Cholatse soars in the west, while Lobuche East and Baruntse rise sharply to our right. We had to pass through some crevasses before reaching Dzongla, another beautiful place that offers a full view of Mt Cholatse, Mt Ama Dablam, Lobuche peak and the Pheriche village far down below. Dzongla offered a spectacular view. The trail from Lobuche to Gorak Shep goes ahead through the lateral moraine of the Khumbu Glacier. Ahead on the trail, we saw the crest of the north ridge of Everest along with Mt Pumori, Mt Mahalangur, Mt Lingtern, Mt Khumbutse and Mt Nuptse, among others. We started trekking at 7am and reached Gorak Shep at 11am. We had our lunch there. Everest Base Camp at the Altitude of 5364m. After lunch and short rest, we took the trail to the Everest Base Camp through the Gorak Shep. 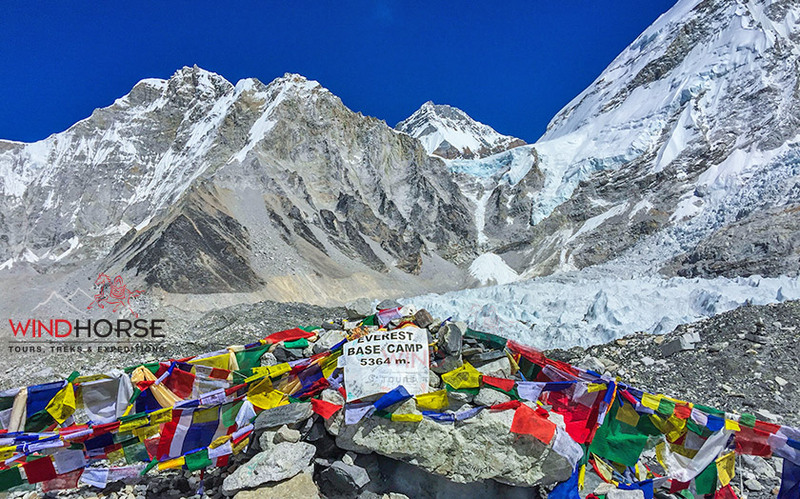 The base camp offers spectacular views of the Nuptse, Khumbuste and Pumori. Reaching EBC, we reached the ultimate destination of our trek. We then trekked back to Gorak Shep, with the Khumbu Glacier, the EBC and the icefalls etched in our memories. Climbing the Kalapatthar, located at 5555m above the sea level, trekkers can have breathtaking views of sunrise on surrounding snow-capped mountains. On the day of Kalapatthar hiking from the Gorak Shep, we had to get ready for the trek at 4am, braving temperatures of about -10 to -140C. Cold winds blow too often, though the day we embarked on the Kalapatthar trip turned out to be just fine. While ascending the peak, we paused several times to catch our breath and snap pictures of outstanding views of spectacular mountains. From Gorak Shep, it took us two hours to reach Kala Patthar. Then we ascended the rocky ridge marked by prayer flags, close to the summit. We sat atop Kala Patthar and had an eyeful of the Himalayan Panorama. We took pictures and spent about half an hour there. It was pretty hard to stay that long, given the cold weather. Our hands were turning blue and water kept in bottles was freezing. With loads of pictures and loads of memories, we descended back to Gorak Shep and had breakfast at 9am. Then we descended to Pheriche. We had lunch at Thukla (4520m) at 1pm. At 3pm, we reached Pheriche. On the 16th day, we arrived to Likla and a day later, we returned to Kathmandu from Lukla via air. The Everest region has Buddhist culture, colourful festivals, varied vegetation, astonishing sceneries, warm hospitality and welcoming people, diversity of landscape and high-altitude trekking on offer. 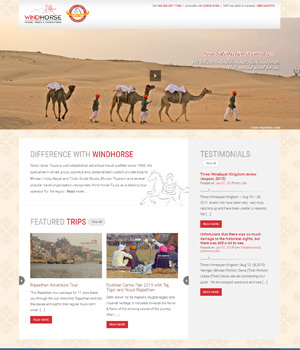 It offers a lifetime experience, something trekkers should savour, health permitting. Mt. Aama Dablam(6856m) and other mountain ranges, a view seen from Kalapatthar. This does look progsiinm. I’ll keep coming back for more.